By failing to trade for Jarvis Landry, the Baltimore Ravens are missing out on the best receiver available this offseason. Adding Landry to the offense would have given life to a passing attack that was virtually nonexistent in 2017. 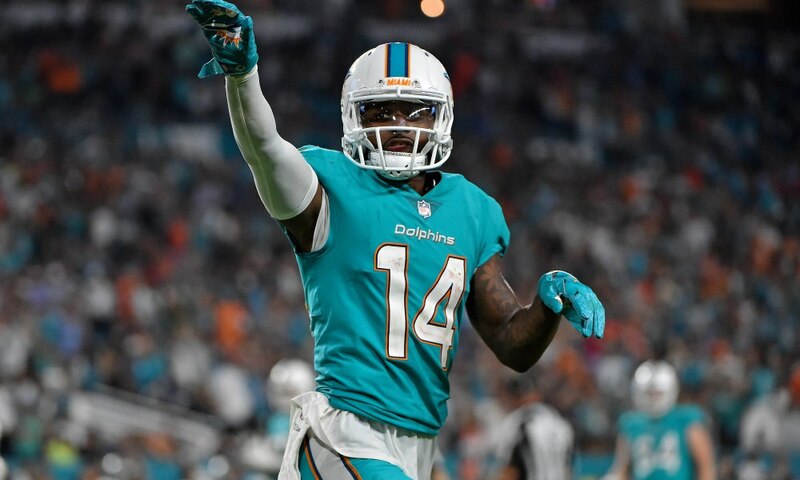 Even though Landry would have added a considerable amount of value to the offense, the Ravens dodged a bullet the team would have needed to take to acquire Landry. Landry’s price tag is just too high for the Ravens. It may have been worth it in the long run to pay Landry, but the Ravens would have had to make room by neglecting other positions to acquire Landry. Although the Ravens aren’t going to get the best talent available at wide receiver, they can at least be frugal about it now. The Ravens will likely target receivers like Sammy Watkins and Donte Moncrief. Both of these receivers will likely have a market value of $6 million and under. The Ravens also have the option to re-sign receiver, Mike Wallace. Wallace led the team in receiving yards in 2016 and 2017. The Ravens, of course, will have a chance to draft receivers this coming April, but the team won’t want to hedge their bets on unproven rookies, especially with the front office’s history of missing on receivers. There’s also the fact that the Ravens did not have to give up draft picks for Landry. Reportedly, the Browns had to give up two picks, somewhere between the third and seventh rounds. Next Next post: Ravens Re-sign Offensive Lineman James Hurst.